Who are we and what are our core beliefs? 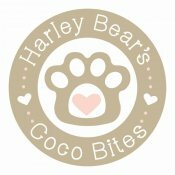 Our mission is to get all dogs eating a healthy food - no additives, no preservatives, fully hypoallergenic and Grain Free. We want to help Dog Parents understand that what we feed our dogs directly affects not only the health of their skin, coat and insides but also their behaviour and the health of their minds. We help Dog Parents understand that gut health directly affects mental health. If we want our dogs to be well behaved we need their micro-biome to be healthy. We encourage Dog Parents to understand our dogs can’t tell us if they have a poorly tummy, they can’t tell us when their brain’s aren’t quite as sharp as normal or they feel more tired and less able to respond. It’s up to us to interpret how they feel by learning about and reading their body language. Our dogs have no choice what they eat so we have to be responsible and make the right choices on their behalf to make life as cosy and comfortable as it can possibly be. To be a responsible dog parent isn’t just about picking up their poo and giving them enough exercise, our love for them needs to extend to thinking about their mental wellbeing as well as their physical wellbeing. Healthy eating is part of that care and just as much our responsibility. We would love for every Dog Parent to ask questions that challenge standard dog food and read research to make informed choices that improve our pet family’s welfare.